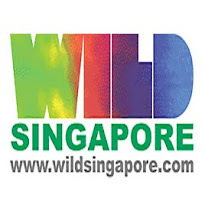 wildsingapore news: Why waste so much if we love food? Why waste so much if we love food? Food loss and food waste occur at alarming rates - about one-third of all the food produced for human consumption, some 1.3 billion tonnes of food worth around US$1 trillion (S$1.25 trillion) - is lost or wasted each year. At the same time, world food demand grows; about one billion people are undernourished globally. Food waste typically happens at the retail and consumer end. Fruit and vegetables that don't meet overly strict cosmetic standards - so-called "funny fruit" or "ugly produce" - are rejected by major supermarkets and thrown away. Household refrigerators are stuffed with forgotten, perishable groceries. Many people confuse "best-before" and "use-by" date stamps on food products. Restaurant meals and banquet fare go unfinished or untouched. It is an economic issue, an environmental issue and a moral issue. Food waste and loss drive up food prices and squander resources including water, energy, labour and land. Discarded food and packaging strain our disposal processes and end up in landfills, which in turn contribute to greenhouse gases and global warming, or are incinerated. The latter is what happens in Singapore, and that is hardly compatible with its green aspirations. As the planet's human population looks to grow from seven billion to nine billion by 2050, food waste and loss threaten our sustainability. It matters in global terms and it matters in pocketbook terms: Food waste is an unnecessary drain on household budgets. A global United Nations campaign seeks to make changes in food production and consumption, from the way food is grown, transported, processed and stored to the way it is sold and consumed. The campaign, Think.Eat.Save, with its clever slogan, "Reduce your foodprint", is organised by the United Nations Environment Programme and the Food and Agriculture Organisation. Researchers at the Nanyang Technological University (NTU) issued a report last year on food waste in South-east Asia, calling for changes in the food supply chain from "farm to bowl". They warned that attitudes among retailers, the hospitality sector, and consumers in cities such as Singapore and Hong Kong are increasingly crucial to address. Four final-year NTU students recently took up the cause, promoting catchy mantras designed to raise awareness among consumers. One of their mantras, "Don't shy shy", encourages restaurant diners not to be shy about asking for unfinished food to be wrapped up. Other mantras include: "Are you an S/M/L? ", which encourages diners to order the right portion sizes, "Be original", which asks diners to customise orders by leaving out ingredients they won't eat, and "Appreciate the little things in life", which encourages diners not to overlook side dishes. A handful of food and beverage operations agreed to implement the mantras over the months of February and March as tips to consumers to help them prevent food wastage. Among them is Naked Fish Shoppe owner James Wong, whose restaurants use fish trimmings - "perfectly good food that would normally be thrown out" - in dishes of baked rice, garnished with cheese and seasoning. He also tries to educate consumers by offering children's and adult portion sizes, and the choice to substitute unwanted sides such as french fries. Such efforts take imagination and initiative but restaurateurs can remember that, in addition to helping the environment, saving food is saving money. Experts say tax incentives can help to promote donations of usable food, aided by a strengthened food redistribution network to ensure safety standards are met. In land-scarce Singapore, composting is not as environmentally viable as it is in other places, and disincentives that have been tried elsewhere, such as mandatory food waste separation and food waste disposal fees, seem unlikely to be widely accepted. Consciousness-raising campaigns can help, and young people should be a prime target. Surveys show that Singaporeans aged 20 to 35 years - a demographic that spends a large portion of their disposable income on eating out - have a high tendency to waste food. Young consumers have a lifetime of buying and eating food ahead of them, so getting the word out is key. Significant losses of food at the production end will require the work of government and industry leaders to increase regional infrastructures and food processing systems. But retailers and consumers, particularly in countries such as Singapore that are rich in food, can take small, conscious steps that collectively shape a more sustainable future. The writer is a freelance writer based in Singapore.